Are you still planing or are you already CUBEing? WEINIG has always had a tradition of progress. With the Cube Plus, we are going even further. Four-sided planing has never been so easy. In day-to-day work, you need machinery that is both robust and simple to operate. The Cube Plus delivers precisely this. Based on an innovative composite material, the Cube Plus operates in accordance with the plug and play principle. Set up, switch on, ready. Thanks to the intuitive, safe operating system, you can start producing from the very first minute - and no complicated training is required. 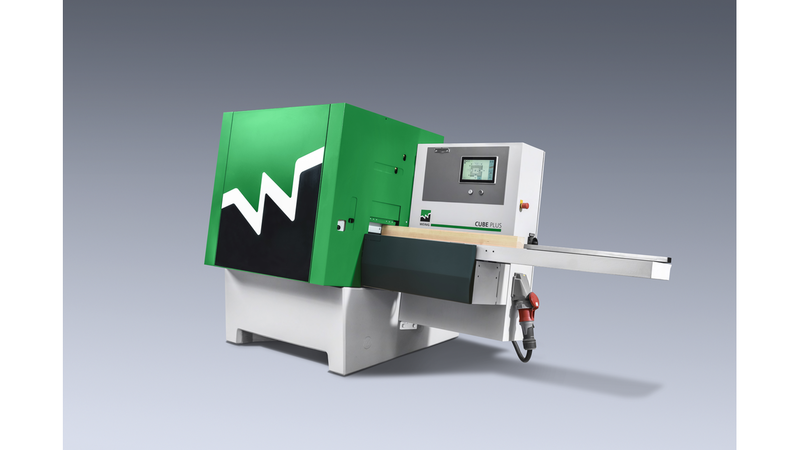 The machine setup is fully automated so that you only need to enter the desired dimensions. Therefore the machine is equipped with a 10" touchscreen. Sophisticated WEINIG technology ensures efficient performance with small dimensions and optimal process reliability. Thanks to the new design of the EasyLock tools, the noise emission is also reduced significantly. This way, the Cube Plus offers maximum ease of use with a minimum amount of work and represents the perfect machine for four-sided planing.